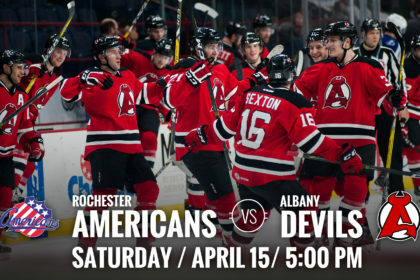 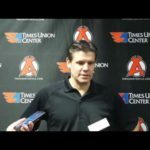 ALBANY, NY — The Albany Devils play their final regular season game Saturday at Times Union Center as they take on the Rochester Americans for a 5 pm puck drop. 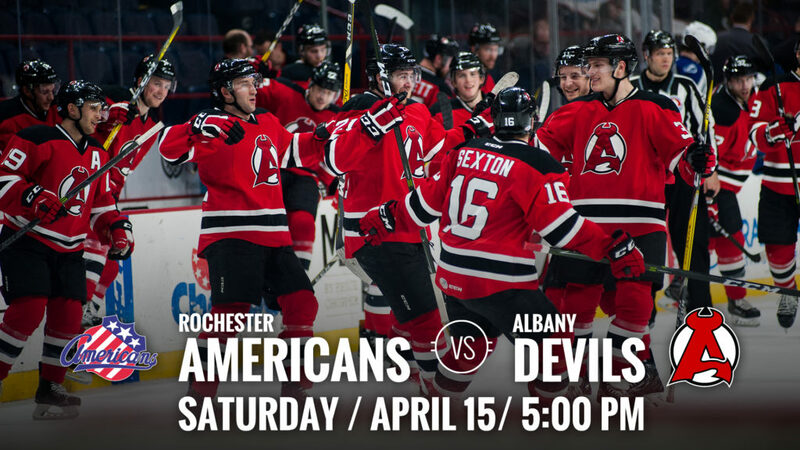 The two teams faced off Friday in Rochester where the Amerks walked away with a 5-4 victory. 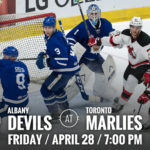 The Devils hold a 38-32-2-3 record while the Amerks have a 32-40-0-3 record. 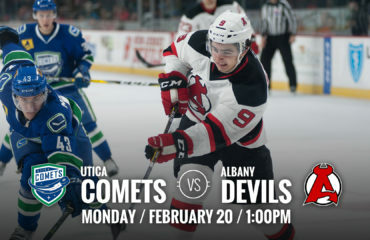 AHL Debut: In Friday’s game, Brandon Gignac made his professional hockey debut in Rochester. 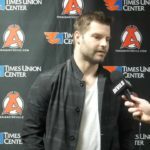 He was drafted 80th overall by New Jersey in the 2016 NHL Draft. 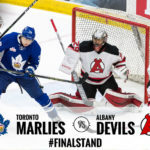 He most recently played with the Shawinigan Cataractes in the QMJHL and earned 62 points (23g-39a) in 59 games played this season. 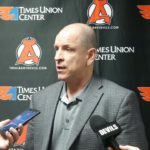 Streak Extended: During Friday’s outing, Carter Camper earned two points against the Amerks with one goal and one assist, extending his point streak to four games and five points (1g-4a). 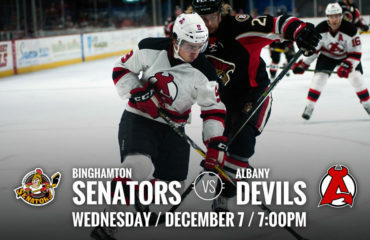 Fan Appreciation: Saturday’s game is Fan Appreciation Night at Times Union Center. 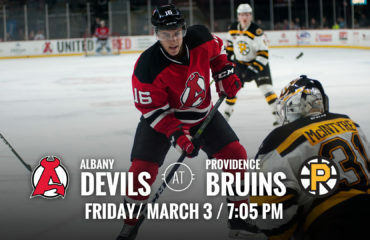 Fans will have the opportunity to win prizes as well as grab some free giveaways throughout the evening.